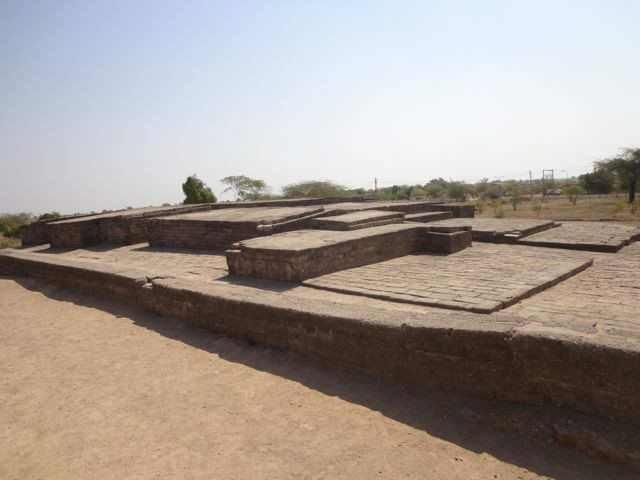 Visit to Lothal near Ahmedabad : An introduction to Harappan Civilization - Ghumakkar - Inspiring travel experiences. Life is a journey and journey with in life makes it more interesting. This becomes awesome when it is by Meter Gauge Train. 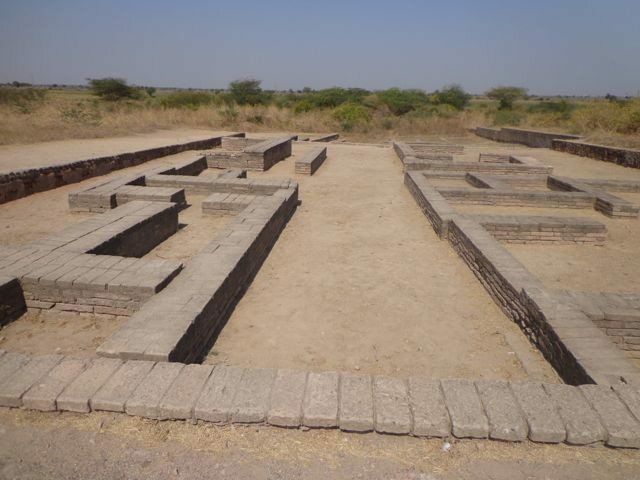 Through Google Baba I came to know about Lothal, a harappan excavation site just 78km from ahmedabad. 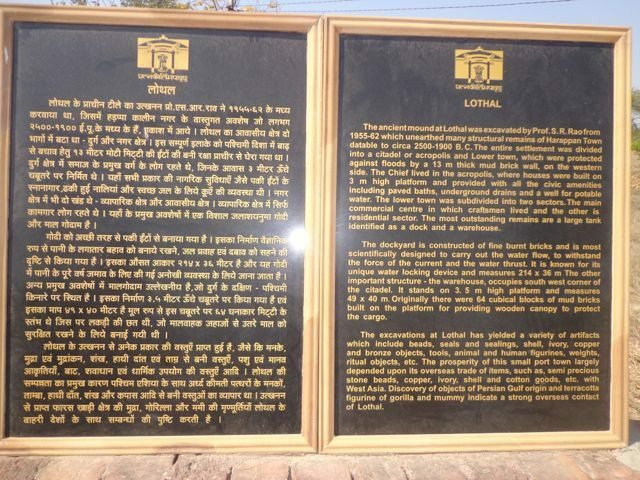 I am sure everybody must have heard about Lothal in school history books same do I. Now It’s a golden chance for me to explore Lothal so I along with my wife planned a Sunday Visit to Lothal via meter gauge train. Train was not very much crowded; it got passengers in equivalent ratio to its capacity. Though we were late but we got a window seat very easily (getting a seat is luck and getting a window seat is god’s gift). Indian Diverse Culture is clearly visible during the whole journey. Young group of girls wearing beautiful ornaments and with a smiling face boarded the train; I thought I didn’t saw such a single happy face in the near past. Either its natural environment of village (prakriti ka sparsh) or attitude towards lively life whatever it is; it is really admirable. In the running city life and always lack of time scenario make us forget the peacefulness of nature. During these thoughts train left the platform at 9 o’clock sharp but stopped soon after (later we realized it is the fitarat of this train). People were busy in talking and eating. Nobody is bother about train halting problem as happens in express trains; people get angry over the Indian railways, rail minister and even see corruption in the same. People de-board the train and catch it again when it gives horn (the caring train gives sufficient time to get back). We constantly looking through the window and talked about flowers, birds, animals, various varieties of zoology and botany things (a bio-expert wife is very helpful and knowledgeable in this case and I am blessed with this). After 2 hour journey (at 11:00am approx) we arrived at Lothal Burkh Station. It’s a sub urban station with no facility at all. 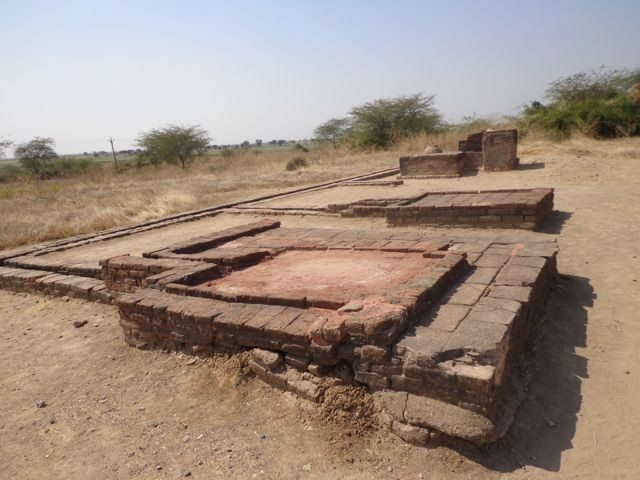 Lothal site is 6km from the railway station but there is no convince facility available. A local man suggested a trolley van leaving in that direction. We got to the trolley and completed rest of journey in standing position with few co-travelers. It was an amazing experience traveling on a long road between large green farms of wheat, with hurdle-less blowing wind. 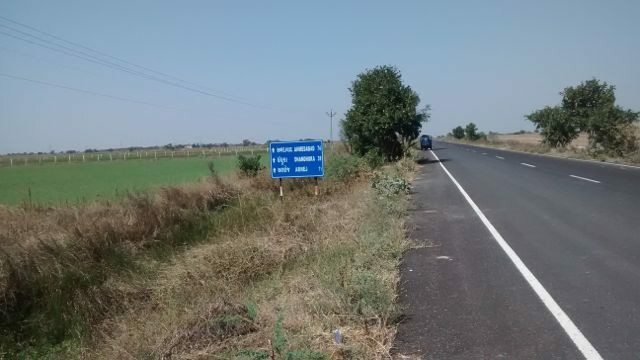 After 15mins we saw a board bearing direction to the Harappan site; we came to know its 2km more. While talking I came to know that Cambay is just 70km from there on that road. An advanced extended trip could be made if interested. I closed my eyes and allowed the wind to go through my face. It’s like surrendering self to the nature in form breeze. I opened my eyes when driver told us to de-board. Excavation site is walking distance of half km from there. Sun is at its peak but cool breeze was maintaining the temperature. At most 20-30 people were there including the staff and visitors. We first visited the Archaeological Museum and it’s better to visit museum first because it contains a lot of information about the site and that will help you to understand and visualize the whole architecture at the site. As photography is prohibited in the museum so no snaps are available inside of it. Walled Architecture surrounding the city to withstand against flood. A river at North Side with connecting wing to a Dockyard in the South. Again the Dockyard is scientifically connected to the main river though open tunnel to carry out the water flow. For further details you can go through the below picture. The information presented in following simple form. You can figure out the Dockyard (214 x 36 m) in the following snap. The dockyard is constructed of fine burnt bricks and is most scientifically designed to carry out the water flow, to withstand the force of current and water thrust. It is known for its unique water locking device. In the next picture you can see the opening in the wall of the dockyard that goes to the river from other in form of small open tunnel to carry out water thurst. Next snap is of Citadel also called as Acropolis. 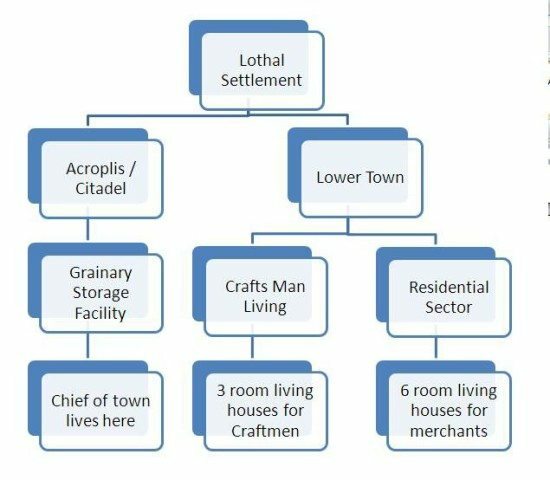 The chief lived in acropolis, where houses are built on 3m high platform and provided with all civic amenities including paved baths, underground den and a well for potable water. It is situated (see in the map) near to the dockyard because grains are used to store at this place so that can be saved from flood. Its of 2500 BC !! It took around 30mins and we were ready to back. Clock was showing 1:00PM O’clock so we headed towards the point where the trolley driver dropped us. 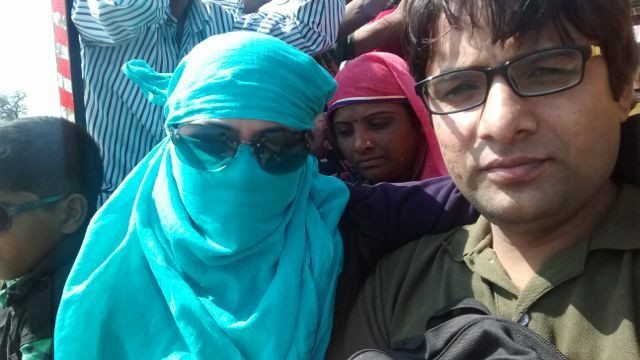 It was a sunny day and my wife was covering her face to avoid dust and UV Rays (she says so) all the time. We played with Sun. Returning train was from Lothal Burkh Railway Station at 4:00pm in the evening and we were completed by 1:00pm so we thought how we would spend next three hours. We reached the spot. After waiting of half an hour there was no sign of any vehicle. We started photo shooting there. After 1.5h waiting we got a loaded trolley van. 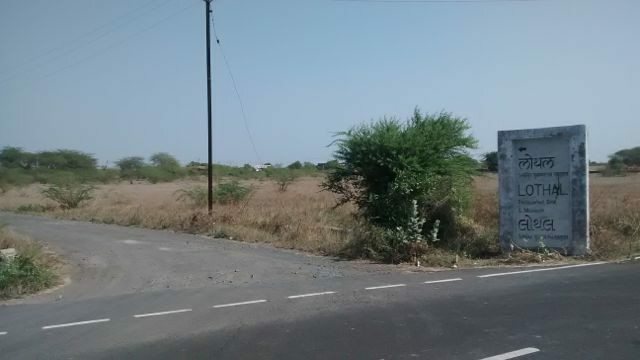 It was going to Arnej Railway Station; a next to Lothal. In such a deficient situation we decided ride. It was again a memorable ride we seated in open trolley hanging our feet down. 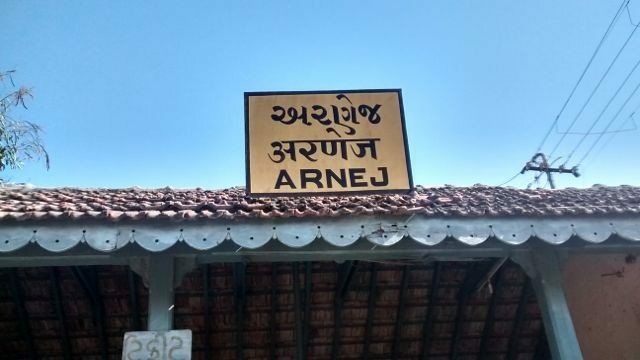 At 3:00PM we reached the Arnej Railway Station. Train to Gandhigram was scheduled there at 4:17pm. We asked a woman in waiting about nearby market and came to know there is a famous temple too. Its almost 1km walking we were in a village market. We came back to Arnej station at 4:00pm. Train was late by half an hour. Waiting is good when views are beautiful. Train came at 4:45pm and we were back to Ahmedabad at 6:40pm. 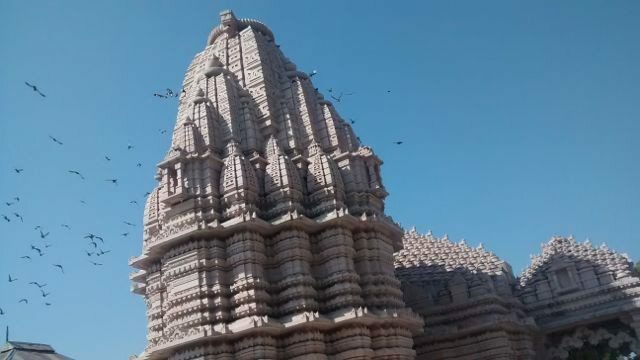 It was a memorable journey we learned a lot about ancient civilization and also searched a new grand temple. Previous articleA weekend trip to digha. The Journey. Another wonderful and informative post you have written and shared. And your pictures have come out really well. The person who had clocked those pictures is also worth praise. Very informative post on historical reference. 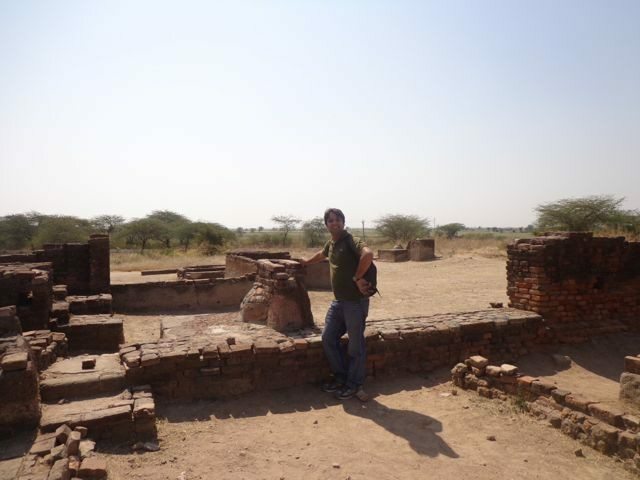 Pictures taken by you shows your interest on archaeological sites like Lothal. Nicely written Post, Shivam! Is there any guide available on the site for tourists? 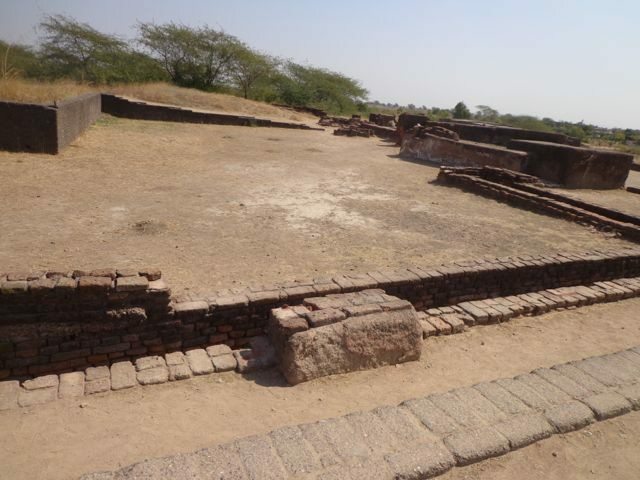 Watching the remaining of Harappan town might have enthralled you very much. @Uday Baxi : Thanks alot : Pictures are clicked by my wife; vl pass the praise. @Munesh: Thanks Munesh ji. 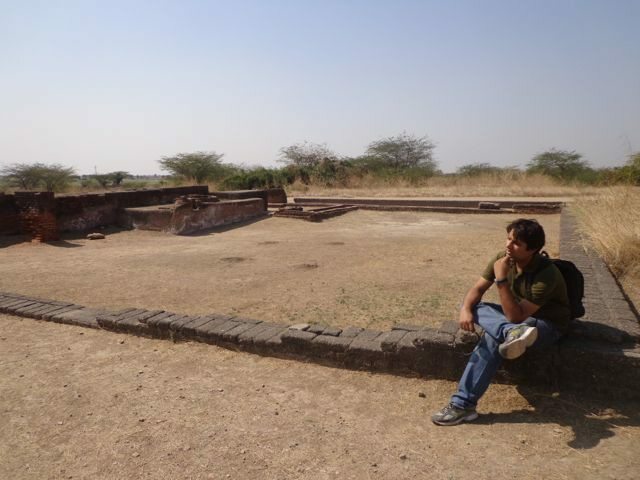 Mera kafi interest hai historical sites par unavailability of proper info make it tough to deduce the right thing. 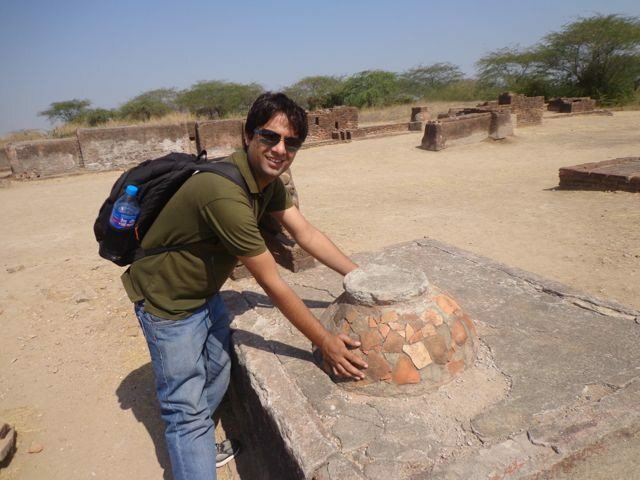 @Anupam: No guide facility was available there. Whatever information i gathered that was from museum. Yeah, visualizing the real structure that was there 5000 years ago enthralled me. 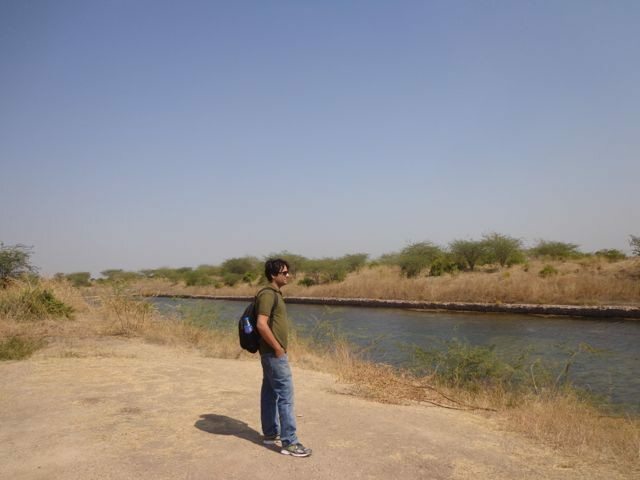 I went to Lothal about three years back. That day although the site was closed, as it was the weekly holiday, there was a man available who guided us, a team of 18 persons from West Bengal. I am now 70 yrs old but like you, a “Ghumakkar”. Yes, my wife accompanies me everywhere in my travels, be it in the mountains or in the plains. Its very encouraging to hear from you. I feel very peaceful while traveling with my better half. Thanks for sharing ur journey. 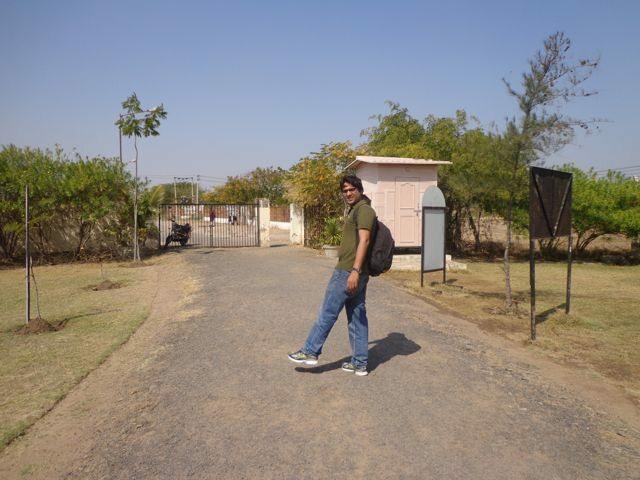 I was there in ahamedabad some 2 years ago but was not aware of that this place is so near to ahmadabad. Reminded me of my ncert books of 6th or 7th standard where the lothal photo in black and white was there. Nice photos and now determined to visit this place in near future . Once again thanks. In the beginning of my third year stay in Ahmedabad i came to know about this place and astonished that it is so much close to the city. Thanks for the writing. 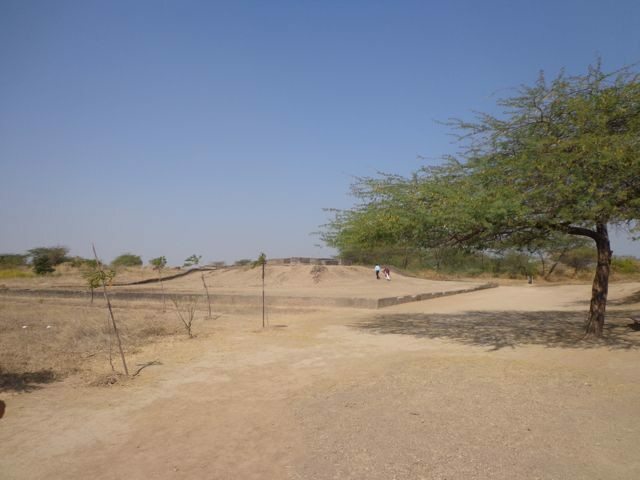 Looking at the site of Lothal and no sign of a navigable river nearby, is it possible that during the time of Indus valley civilization a large river, either Sindhu or Saraswati flowed from Himalayas to Gulf of Khambhat! It could be Saraswati, but it may be difficult to explain why did it lose its course and where did that much water go? However, Sindhu flowing into the gulf of Khambhat is not very difficult to imagine. Sindhu has been moving westword since ancient times. 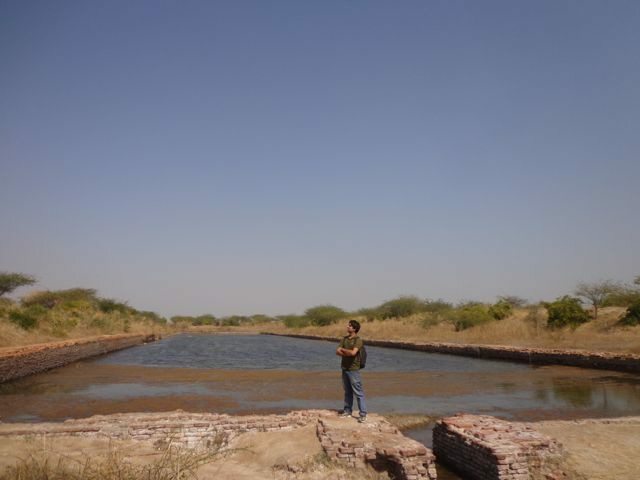 Even now the Gov’t of Pakistan has been making many efforts to keep the course of the river in place however the river keeps changing its course moving further west.Assuming one of the rivers flowed from Himalayas to Gulf of Khambhat, we can also explain remnants of Indus valley civilization found in Kutchh and in North Gujarat. very much technical analysis. I agree with you it must be Saraswati. I think nature of frequent change of its course made “Sangam” with Ganga, Yamuna at Allahabad for some period of time in history. Hi Kritidev, I was just reading a book by an American scientist and archaeologist Cynthia, “Rain:A cultural and natural history”. In the book it was mentioned that rain is one of the pivotal players in making a civilization.She has mentioned the possibility of the river Saraswati dating back to around 4100 years flowing through Indus Calley Civilization.There was a severe drought for the next 200-300 years due to gradual shift in climate change globally. (It affected all the ancient civilizations of Mesopotamia,Egypt and China). 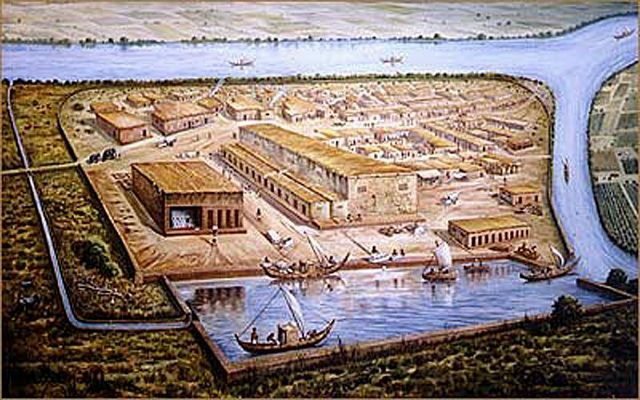 The drought might have dried up the river and the scarcity of rains forced the early lothal and rest of Harappan civilization to find refuge to slightly more eastern parts of India.This might have also been the cause of gradual disintegration of the civilization. Great photos and very detailed information. 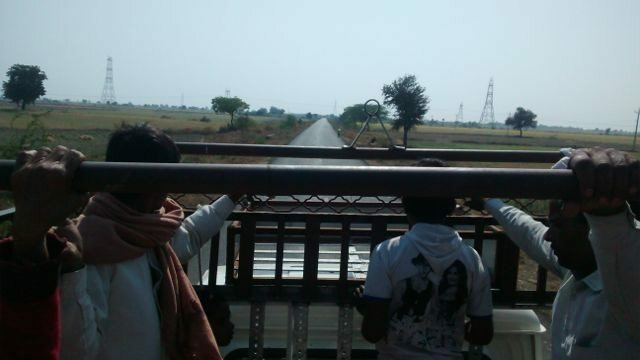 We were there for an hour or so on our way to Gir, from Ahmedabad. The place needs a lot of tourism infrastructure and some serious investment from the government. We had the same feeling of remembering our History books. If one is at Ahemedabad and has half a day then one can do it by trailing in a rented car. Of course the train ride is much more adventurous (and rewarding). Thank you Shubham for sharing this beautiful log. Look forward to reading more of local gems from you. Completely agree with you regarding infrastructure development of the site and there should be initiative like giving information through visuals modes too else one finds these places boring. Ghumakkar: So who else is there in the family? Tell us about your formative years. Was early education in Nanhera? 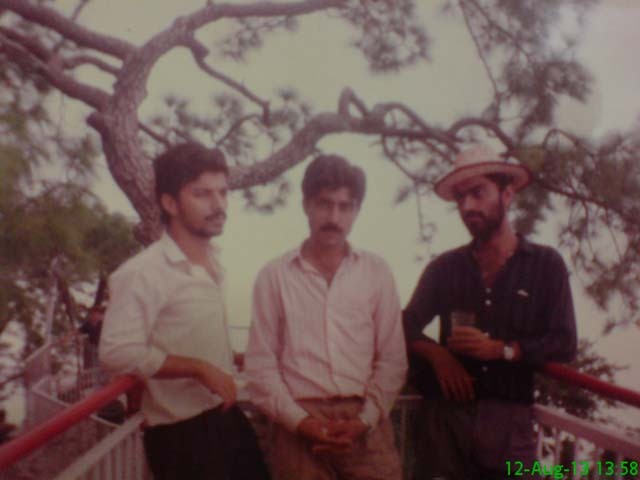 Naresh: We are three brothers and I am youngest of them. I got my primary education along with my brothers in village Govt. school. As the school in village was up to fifth only, I took admission for sixth class in Banarsi Das High School Ambala Cantt. Ghumakkar: I have a feeling that you were very sincere in your studies and must have done well. Right? Naresh: Yes, ha ha. I was good in studies and till fifth class I was topper of the class. Ghumakkar: So all three brothers were going to same school? Any memories you would want to share? Naresh: Yes, mostly. Actually after class V, we moved to a new school and it was not close-by. My eldest brother used to walk up to the school which was 4-5 kilometers away from our home. This went for two years. Then my father bought second cycle (other than my father’s) for my brother. When I took admission in that school in sixth then my elder brothers were in 7th and 9th. We had only one cycle to go school and out parents did not allow my eldest brother to carry both of us so one of us used to walk. I used to walk in the morning and my brother in the afternoon. This may sound very harsh but we were always up for any kind of hard work.